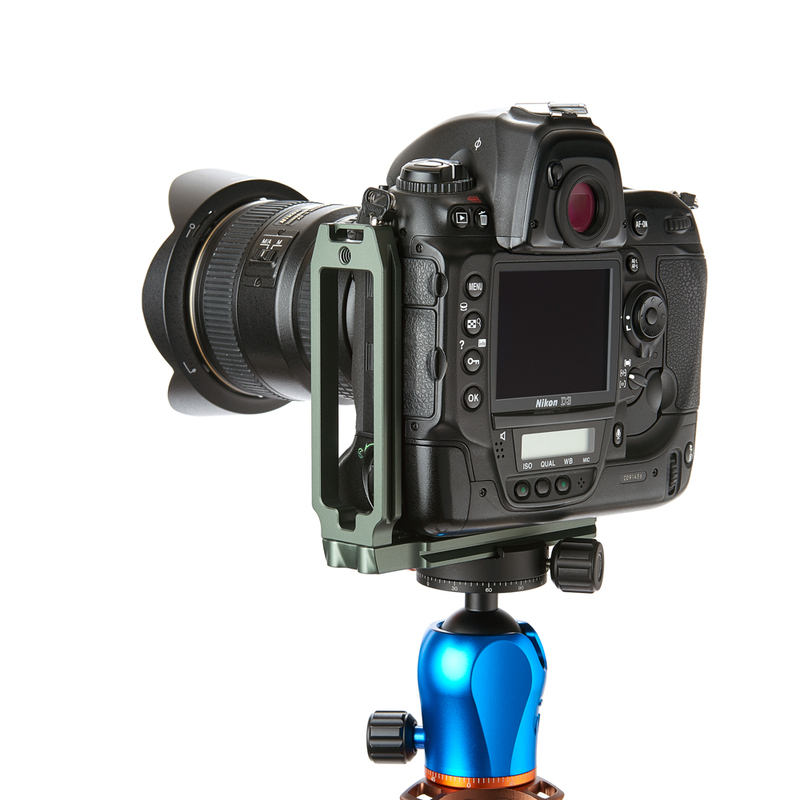 Innovative British Tripod maker, 3 Legged Thing, Winner of the Lucie Technical Award's 2017 Tripod of the Year Award, announces QR11-FBC & QR11-FBG, a larger Universal L-Bracket for full-sized and gripped cameras. 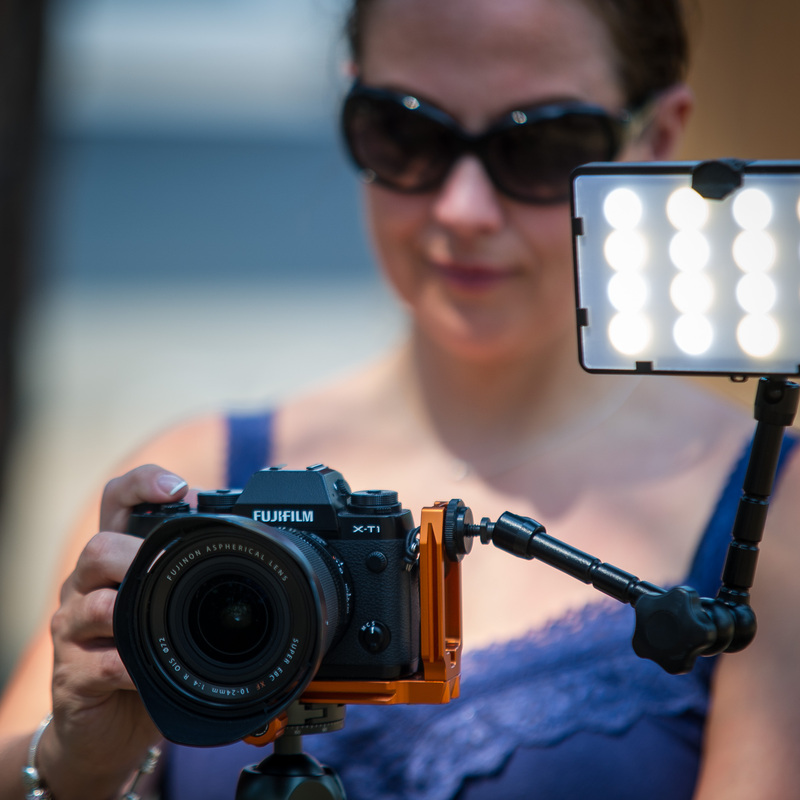 Following the phenomenal success of their QR11-L Universal L-Bracket, released in July 2017, 3 Legged Thing has announced two new supersized models suitable for use with full-sized cameras, and cameras with battery grips attached. The QR11-FB Universal L-Bracket will be launched at CES (Consumer Electronics Show) in Las Vegas on 9th January 2018. The QR11-FBC & QR11-FBG will be available to view for the duration of the four-day show on 3 Legged Thing's exhibition booth, 18648 in the Central Hall of the Las Vegas Convention Centre. 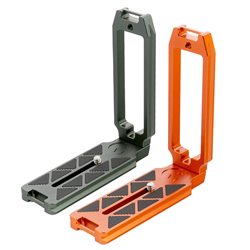 Designed to make the switch from landscape to portrait quick and easy, and crucially, retain the sensor position for better continuity and streamlined workflow, 3 Legged Thing’s QR11-FB Universal L-Bracket is a quick release plate with a 110mm working base which is compatible with standard Arca Swiss® style clamps and heads. The QR11-FB comes with triangular pads, designed to tessellate and provide as much surface contact as possible on the baseplate, which translates to more grip and a more secure connection. The QR11-FB Universal L-Bracket has a 126mm vertical aspect, and thanks to the additional 1/4"-20 threaded hole, allows for the addition of accessories such as monitors and microphones and other standard 1/4"-20 fittings. 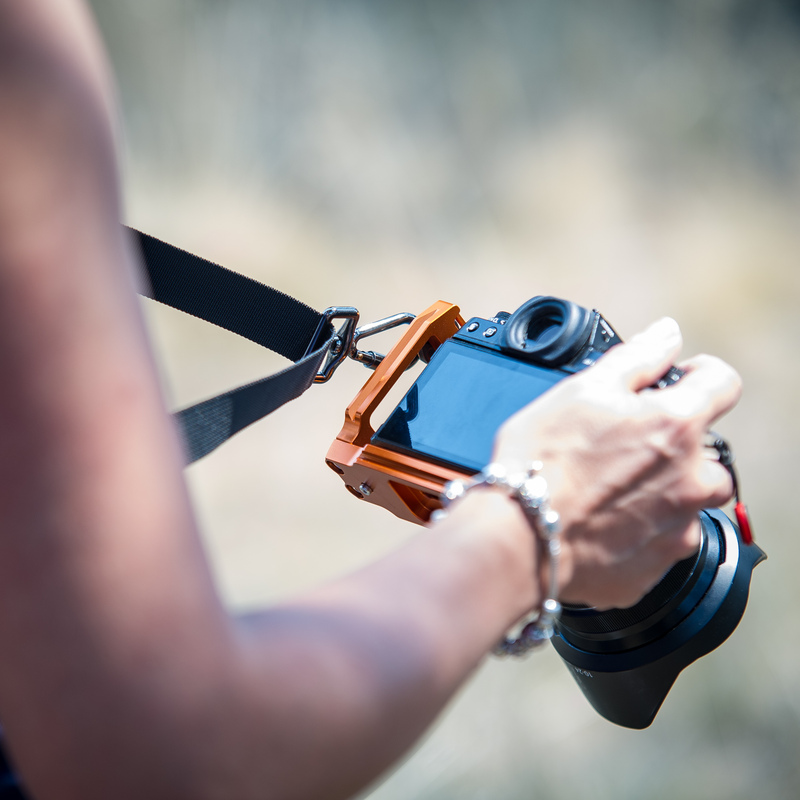 It also comes with dual strap connectors, for compatibility with all standard camera straps and specialist connectors, and is the only sling strap compatible L-Bracket in the world. The vertical aspect has an opening which may also allow access to the cable or battery doors, depending on the camera design. The QR11-FB will be available in two colour options; Copper and Metallic Slate Grey, similar to the existing standard-sized QR11-L. The QR11-FB Universal L-Bracket has a suggested retail price of £59.99 / $59.99, and will be available from 30th January 2018. Headquartered in a converted chicken shed (The Chicken Shed) on Kinsbourne Farm, in Stagsden, Bedfordshire, 3 Legged Thing is a small, British company of passionate people, creating and innovating camera support systems for photographers and videographers. 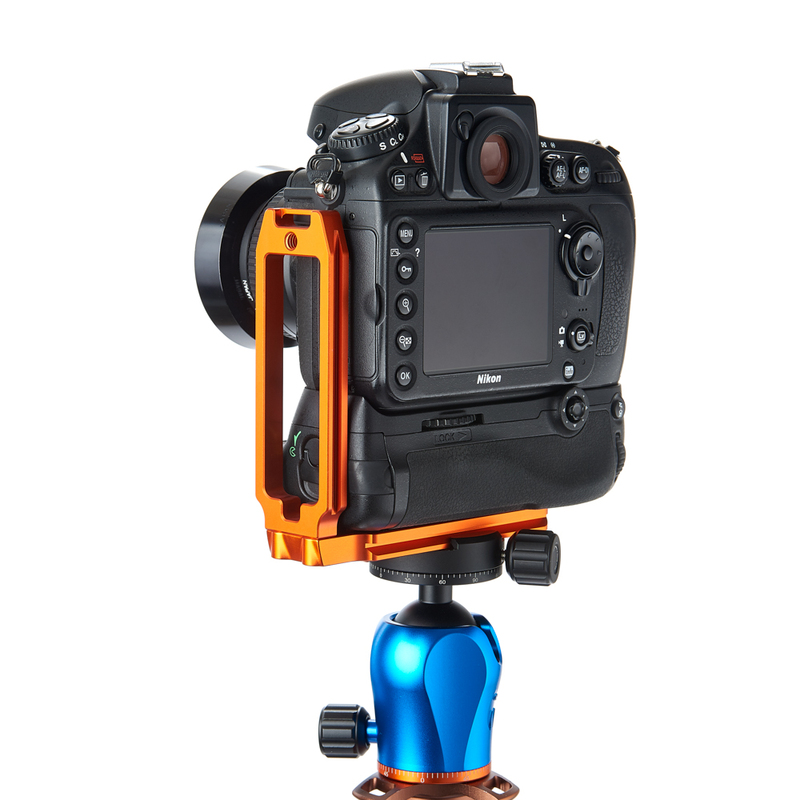 3 Legged Thing is the Winner of the Lucie Technical Award's 2017 Tripod of the Year. If you would like more information about this press release, or to obtain a review sample, please contact Alison Barclay at +44 (0) 1234 225005 or email at alison(at)3leggedthing(dot)com.